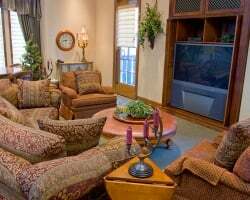 The Club at Big Bear Village offers luxurious accommodations where guests can relax after enjoying this southern Californian mountain dream spot! Mountain and lake adventures await, no matter what the time of year. Hollywood has filmed many a mountain adventure in Big Bear, and the majestic setting affords guests the opportunity to hike, golf, fish, horseback ride, parasail, snowshoe, ski, play tennis, or enjoy some boating! On-site, guests will appreciate the many amenities in their suites- nothing has been overlooked! 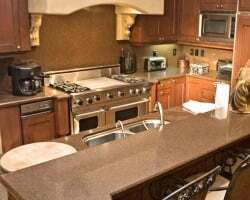 Suites are equipped with Viking and Sub-Zero appliances, Anderson windows, Jacuzzi baths and steam showers, Mitsubishi hi-def, big screen TVs, surround sound in the great room, and more! For more information, visit www.clubbigbear.com. 8,000 odd year points! Points can be used anywhere in the Bluegreen network! Clear title, maintenance fees current! Inquire today! Peaceful and relaxing resort with may outdoor activities for all ages! Buyer may receive a title fee credit, inquire for details! 5,000 annual points! Points can be used anywhere in the Bluegreen network! Inquire for more details! Points are paid off! Enjoy 15,000 annual points to stay in California or anywhere in the Bluegreen network! Buyer may receive a title fee credit. 12,000 even year points! Points can be used anywhere in the Bluegreen network! Buyer may receive a title fee credit, inquire for details! Tour any location in the Bluegreen network! 6,000 points per year! Buyer may receive a title fee credit, inquire for details! Plenty of things to do for outdoors lovers! Sale includes 10,500 annual points! Buyer may receive a title fee credit, inquire for details! 20,000 annual points! Stay at this luxurious resort or stay at any resort in the Bluegreen network! Inquire for details! 7,000 points available now! 7,000 annual pts to relax at this California mountain retreat or anywhere in the network! Inquire Today! Option to stay in California or use points anywhere in the Bluegreen network! Buyer May Receive A Title Fee Credit, Inquire For Details! Price Reduced! Explore any location in the bluegreen network! Buyer May Receive A Title Fee Credit, Inquire For Details! Sale includes 24,000 annual points to enjoy any resort in the Bluegreen network! Make an offer today! Sale includes 10,000 banked points! Buyer May Receive A Title Fee Credit, Inquire For Details! Sale includes 6,000 annual points! Buyer May Receive A Title Fee Credit, Inquire For Details! Price reduced! Sale includes 6,000 biennial points! Make an offer today! Buyer may receive a title fee credit, inquire for details! Sale includes 10,000 points per year! Buyer may receive a title fee credit, inquire for details! Relax in beautiful Southern California every other year! Sale includes 8,000 odd points! Buyer may receive a title fee credit, inquire for details! Sale includes 5,000 annual points! Buyer may receive extra 5,000 points until Nov 2017! Buyer may receive a title fee credit, inquire for details! Explore locations throughout the Bluegreen network with 5,000 points a year! Buyer May Receive A Title Fee Credit, Inquire For Details! Sale includes 10,000 points each year! Buyer May Receive A Title Fee Credit, Inquire For Details! Enjoy 10,000 annual points! Vacation in California or any other destination in the network! Buyer may receive a title fee credit, inquire for details!